It has been a great year for me this year at the 2014 Clackamas County Fair in Canby, Oregon. I won 120 ribbons and was named “Queen of the Kitchen” and “Queen of the Fair”. 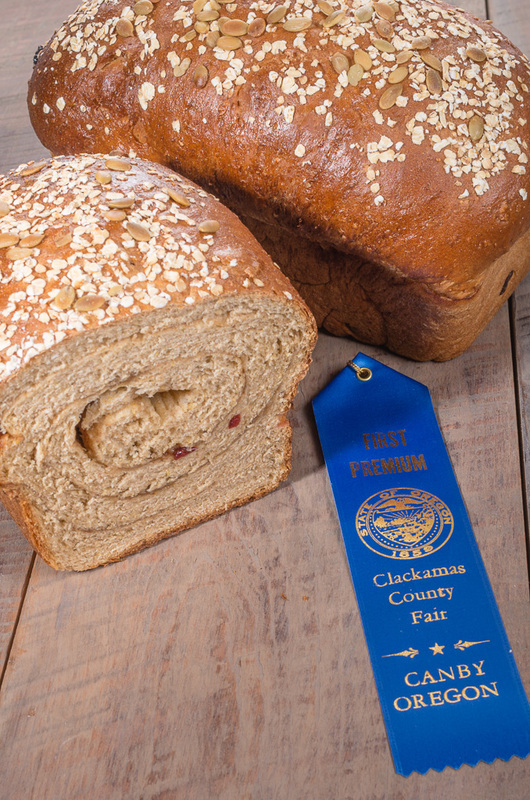 One of the best awards was winning the Bob’s Red Mill Bread Contest at the fair. 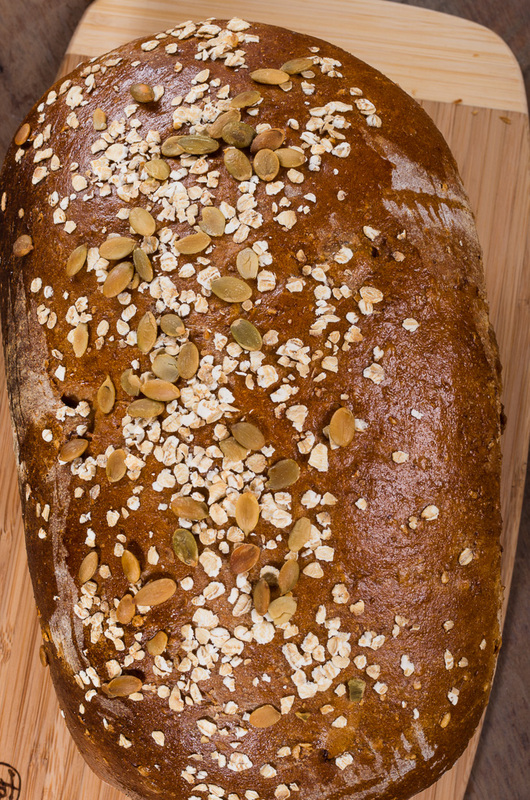 This pumpkin bread is made with Bob’s Red Mill white flour, whole wheat flour, rolled oats, dried cranberries and topped of with some of his raw pumpkin seeds. The swirl of cinnamon and sugar make this bread great for the dinner table or for making French toast for breakfast. I am also going to use it next time I make some bread pudding….yum! spice, salt, sugar and yeast. Beat in the warm water, pumpkin, applesauce and oil just until moistened. cranberries. 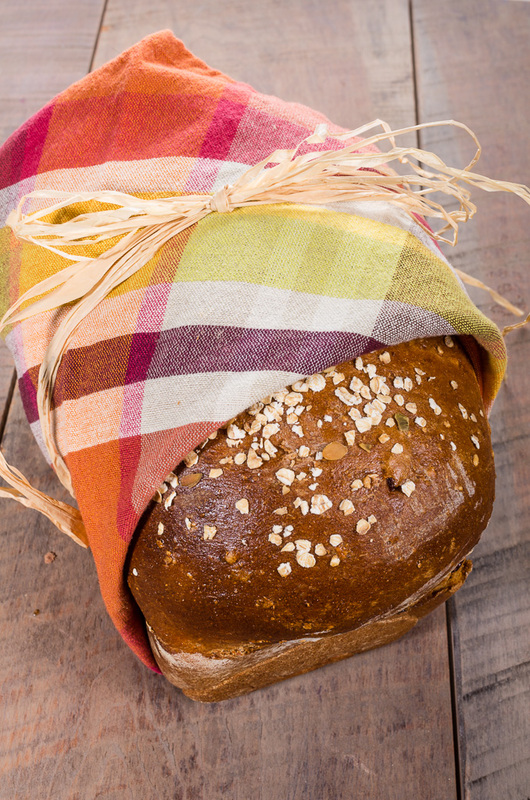 Turn onto a lightly floured surface; knead until smooth and elastic, about 6-8 minutes. Place in a greased bowl, turning once to grease top. Cover and let rise in a warm place until doubled, about 1 hour. Punch dough down. Turn onto a lightly floured surface and divide the dough in half. Roll each dough into an 18-in. x 9-in. rectangle; brush with butter to within 1/2 in. of edges. Combine brown sugar and cinnamon and sprinkle over dough. Roll up jelly-roll style, starting with a short side; pinch seam to seal. Place seam side down in two greased 9-in. x 5-in. loaf pans. Cover and let rise until doubled, about 30 minutes. In small bowl mix egg and water. 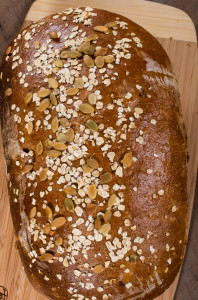 Brush on loaves and sprinkle each with 1 tablespoon oats and 1 tablespoon raw pumpkin seeds. 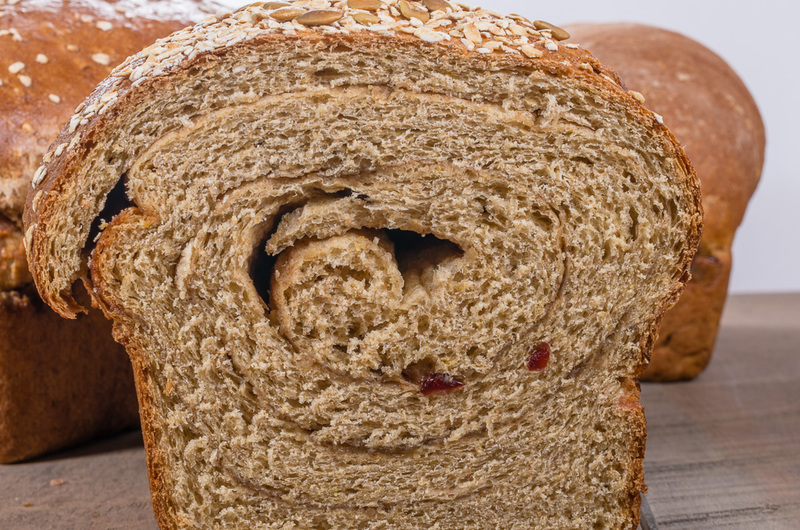 Bake at 350° for 55 minutes or until golden brown and internal temperature is 190 degrees. Check bread after 25 minutes if getting really brown tent a piece of aluminum foil over each loaf for the remainder of the baking time. Cool for 10 minutes before removing from pans to wire racks. Yield: 2 loaves.